Pregnant Sims are effected (mostly negatively) from being pregnant. It makes them sore and causes them to have morning sickness. They do receive one positive moodlet throughout the duration of their pregnancy. Find out all about the moodlets that will occur from the time your Sim conceives through after the baby is born. 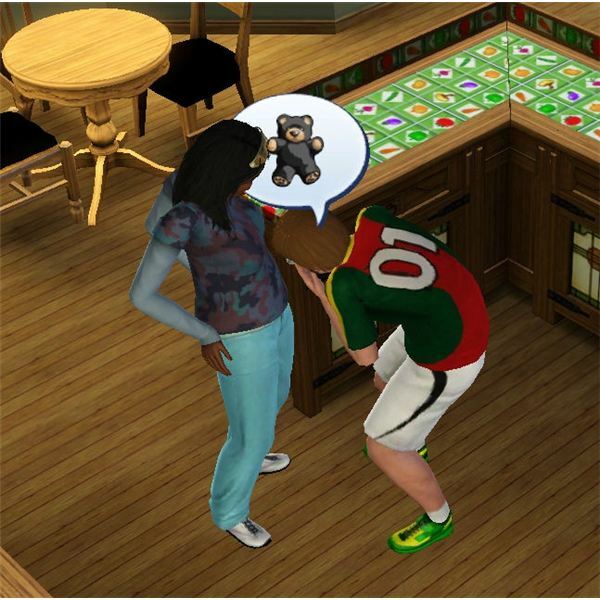 Pregnant – lasts for the entire time your Sim is pregnant (at least after they find out that they are) and has a positive 20 mood effect. Your Sim will receive this moodlet only when they are pregnant. Check out this The Sims 3 Pregnancy Guide for more information on pregnancy. Nauseous – lasts for 2 hours and has a negative 25 mood effect. Your Sim will receive this moodlet when they are experiencing morning sickness (within about 8 hours after trying for a baby in The Sims 3). There are also other ways a Sim can feel nauseous including: eating spoiled food, using a time machine, walking over the floor hygienator, and being a part of an experimental treatment. Aching Back – lasts for 4 hours and has a negative 20 mood effect. Your Sim will receive this moodlet when they are pregnant and suffering back problems. If another Sim gives your Sim a massage, it will go away. Baby Is Coming! – this is one of the sims 3 baby moodlets that starts once your Sim’s water breaks and the baby is coming! This moodlet has no mood effect, and lasts until your Sim gives birth. It’s a Boy – lasts for 24 hours and has a positive 80 mood effect. Your Sim will receive this moodlet after they have a baby boy. It’s a Girl – lasts for 24 hours and has a positive 80 mood effect. Your Sim will receive this moodlet after they have a baby girl. It’s Twins! – lasts for 24 hours and has a positive 80 mood effect. Your Sim will receive this moodlet after they have a set of twins (boys or girls). For higher chances for this, purchase the Fertility Treatment from the Sims 3 lifetime rewards. Crying Baby – lasts for 10 minutes and has a negative 15 mood effect. Your Sim will receive this moodlet when near a crying baby. Dislikes Children – lasts for 3 hours and has a negative 10 mood effect. Your Sim will receive this moodlet only if they have the Dislikes Children Sims 3 trait. They receive this moodlet when interacting with or holding babies or children. 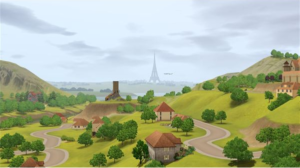 Negligent – this is perhaps the worst moodlet for The Sims 3 baby moodlets and it lasts for 2 days and has a negative 30 mood effect. Your Sim will receive this moodlet when they neglected their child (or children) and they were taken away by a social worker.